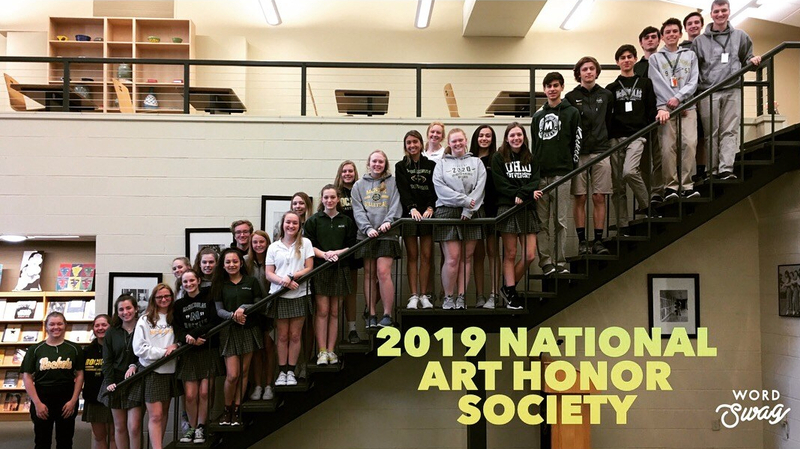 The halls of McNicholas are filled with artwork made by the McNicholas students and some classrooms are also adorned with student-made art. Junior Abbey Pour is currently painting a mural for Theology teacher Teresa Davis’s classroom. Pour previously painted a mural in Social Studies teacher Katherine Hayes’s classroom, modeled after cave paintings. Junior Abbey Pour’s mural in Theology teacher Teresa Davis’s classroom, once completed, will represent the eight world religions that seniors learn about in World Religions class. Pour previously painted a mural in social studies teacher Katherine Hayes’s classroom, based on cave paintings.